The best bang for your rupee. It's been nearly four years since the original release of Hyrule Warriors on the Wii U, and since that time it’s received some of the most staggering amounts of additional content of any game in recent memory. 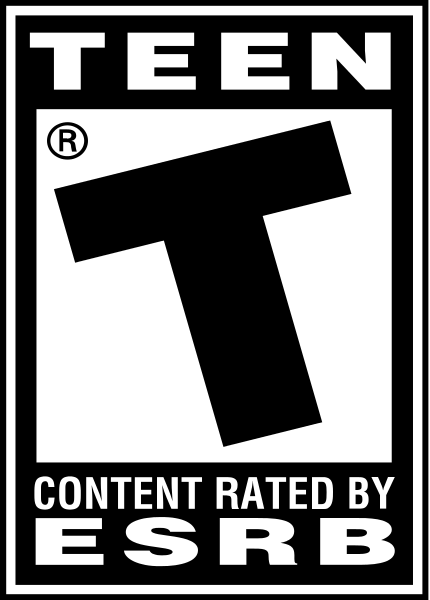 That’s not necessarily intended as a dig, though; between free and paid content, Hyrule Warriors has been consistently praised for its DLC practices, always providing a substantial amount of new material for players to enjoy. 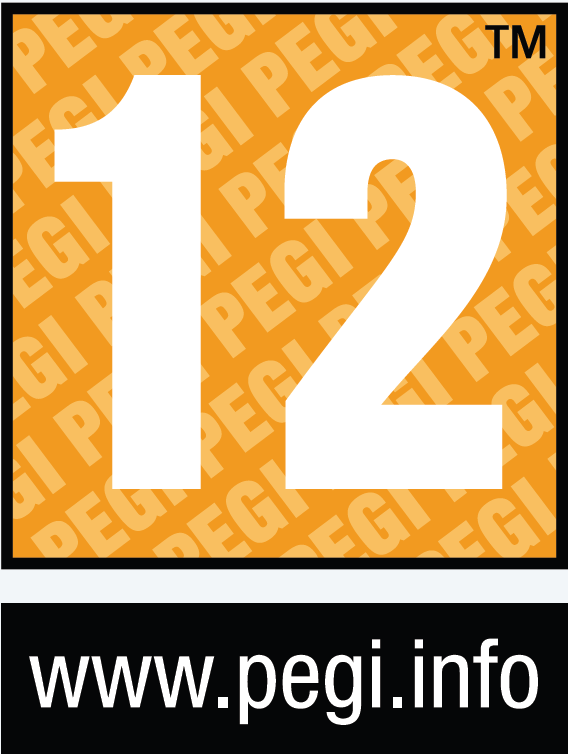 Now, in 2018, it’s received a definitive edition, with everything from multiple Wii U DLC packs to the content from an expanded version on the 3DS packed in. But does that make it worth buying? As with most remasters, the answer will depend. If you’re not familiar with Hyrule Warriors, it takes the standard formula of Dynasty Warriors and sets it in the world of Zelda. And if you’re not experienced with Dynasty Warriors, it’s a mix of hack and slash and battlefield management with some mild strategy and RPG elements, focusing on protecting various points of interest and allies while slicing up enemies by the hundreds. Unless you’re significantly underleveled for any given mission, the moment to moment combat generally isn’t very difficult; rather, the challenge comes from... well, management. While the player character tends to be overpowered to the point of killing literally thousands of enemies in one battle, your bases and allies are not so well equipped, meaning that you have to balance offense and defense; moving forward to defeat enemy commanders and capture enemy bases, but not extending yourself so far that you can’t get back to protect an ally in need. “Management” probably doesn’t sound like the most exciting way to describe gameplay, but there’s a strangely enjoyable quality about all this that perhaps comes as a result of killing so many enemies. When you get into a rhythm in a Dynasty Warriors title, it’s hard to put down. Hyrule Warriors has all of these qualities in spades, and as a result the crossover between Dynasty Warriors and Zelda feels a bit one sided. Zelda, being a series with a heavy emphasis on exploration and puzzle solving elements, feels like it didn’t contribute much to the game beyond characters and settings. In other words, don’t come into Hyrule Warriors expecting it to play much like Zelda - this is very much Dynasty Warriors with a Zelda skin. 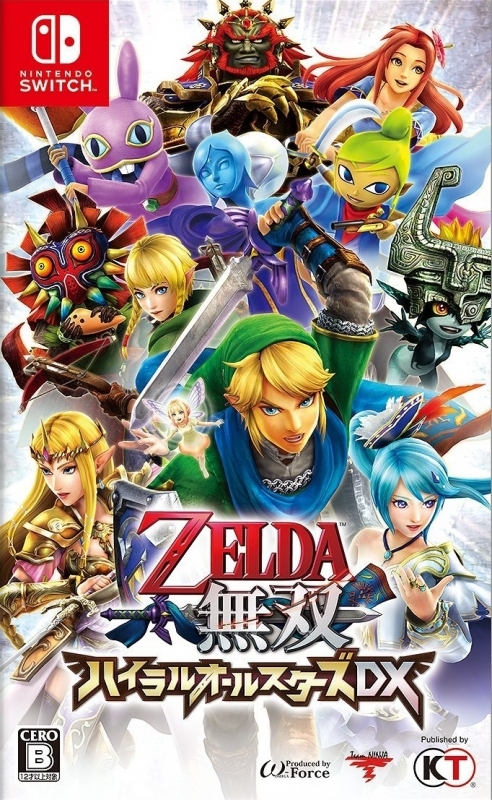 That doesn’t stop it from being a fun time, though; the frenetic pace of the action and the dizzying amount of post-game content kept me coming back consistently when Hyrule Warriors originally launched in 2014, and if you enjoy simple hack and slash combat you’ll likely enjoy yourself as well. Of course, the quality of a definitive edition like this is judged largely by what has been included or changed since the original release. 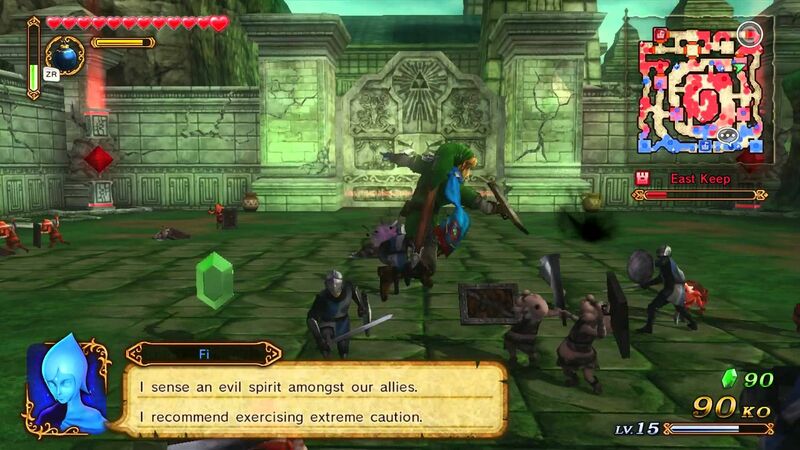 As previously mentioned, Hyrule Warriors has received an absurd number of content updates since its launch; some available on Wii U, others exclusive to a 3DS port that received mediocre reviews due to performance issues. Thankfully, all of the content has been updated for Switch and is now available at 1080p and a mostly solid FPS that fluctuates between the high 40s and mid 50s when docked, and 720p 30fps when not. In short, there are none of the major performance issues that seemed to plague the 3DS version, so all the content from the past four years is playable in solid condition. And there is a lot of content - easily upwards of 200 hours' worth if you want to complete all of the post-game adventure map content. Of course, this comes with something of an asterisk that, if you’ve played and enjoyed this game previously to the point where you’d consider buying it again, you’ve probably beaten a sizable portion of this content. In this regard, it’s a bit unfortunate that there’s no way to transfer some kind of save data between Wii U/3DS and Switch. Much of the fun in Warriors games comes from experimenting with different movesets and leveling up a cast of crazy characters, and it’s a little disappointing to see all the different fighters that you’ve sunk dozens of hours into leveling up and expanding movesets all be reduced back to their base stats. There’s no getting around the fact that, if you’ve played Hyrule Warriors in all its iterations before, you’re just buying the same opportunity to grind characters up and play through the same story and challenges over again, albeit with better visuals. Maybe that’s enough incentive for some, but I’d have a difficult time recommending buying this game for a third time to someone who has already played the Wii U and 3DS versions extensively, unless the prospect of better performance is worth $60 to you. However, if you’re not in that category, this is probably one of the best “bang for your buck” purchases you can make. Even if you played through all the content on the Wii U version but didn’t get around to the 3DS, Hyrule Warriors: Definitive Edition has dozens of additional gameplay hours, with new characters, maps, post-game challenges, and even a surprising number of paralogues for the game’s story mode. I’ve hammered this point home to the point of redundancy, but the amount of content in this game is staggering for a non-open world RPG. 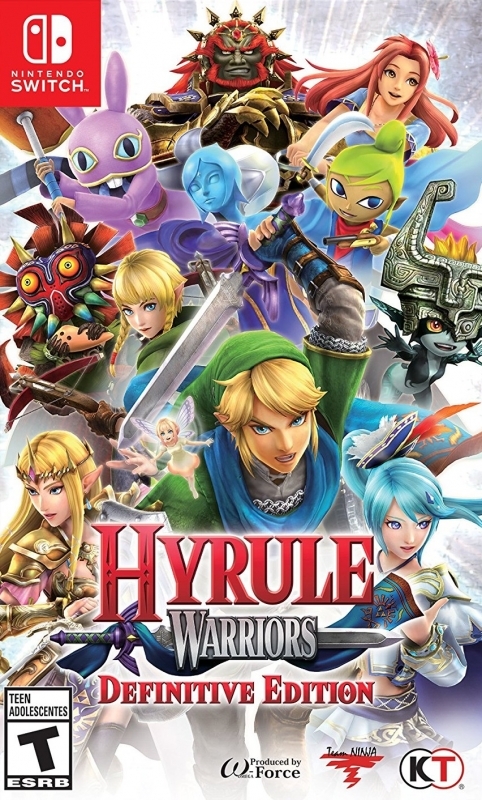 If you haven’t kept up fully with Hyrule Warriors in its various incarnations and you’re looking for a game to preoccupy you for a long, long time, this is it. And even if you have played the various DLCs and the 3DS version, the improved framerate/visuals may be enough to win you over. Of course, while a definitive edition’s content is important, it’s ultimately meaningless if the gameplay doesn’t hold up, and for the most part Hyrule Warriors is certainly still fun. 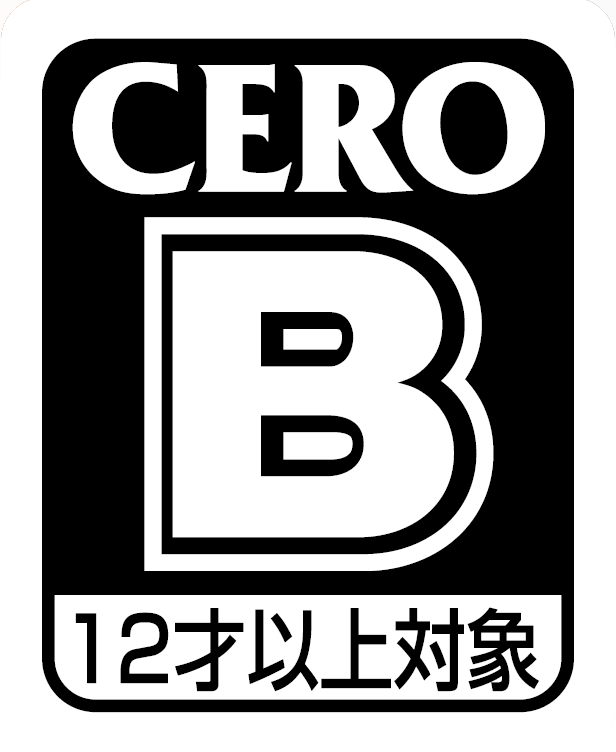 The general gameplay of carrying out tasks, taking over enemy strongholds, and killing enough enemies to qualify as a one-person weapon of mass destruction is still enjoyable, but unfortunately, some of the newer features that were first implemented on the 3DS version still aren’t handled particularly well. Being able to give commands to playable allies is a fantastic idea in theory, but it’s hampered by the map being a bit wonky to use and the friendly AI being legendarily useless. The ability to switch characters on the fly is also a good idea and works very well when it's available, as it saves the player a lot of running back and forth between different areas of interest, but it’s implemented far too infrequently; the majority of maps limit the player to one character only. 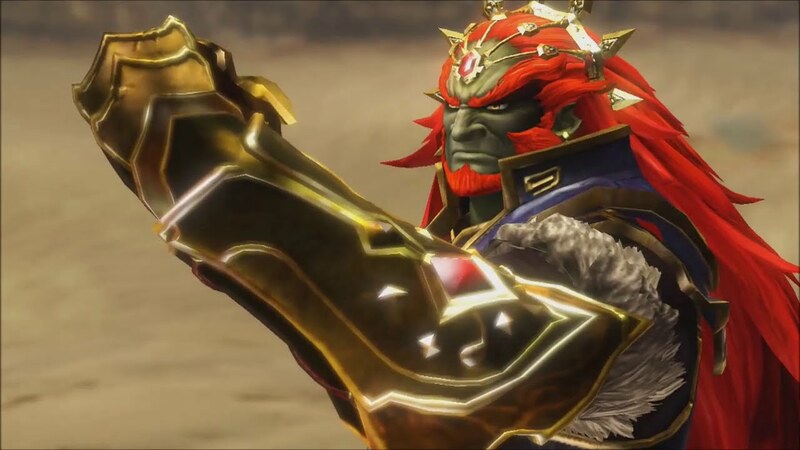 On top of that, a few problems from the original 2013 release still linger, the biggest and baddest being that Hyrule Warriors’ bosses are still flat out terrible. They are almost entirely reliant upon a tedious process of “wait until they attack, stun them with an item, then mash away” that brings the fast pace to a screeching halt every time one of them shows up. All of this combines to be a bit frustrating given how well and how consistently last year’s Fire Emblem Warriors avoided these problems, and it makes Hyrule Warriors’ gameplay feel slightly dated. There’s obviously an extent to what can be changed in a definitive edition, but I don’t think it would’ve been a particular stretch to ask for any of these to have been altered. Ultimately, this places me in an odd position when trying to determine who to recommend Hyrule Warriors: Definitive Edition to. New players are usually the easiest recommendation for a remastered/collection game, but I’m not sure that applies here, because if you’re new to the Nintendo Warriors crossover series and are looking to figure out whether you like it or not, I’d recommend Fire Emblem Warriors. 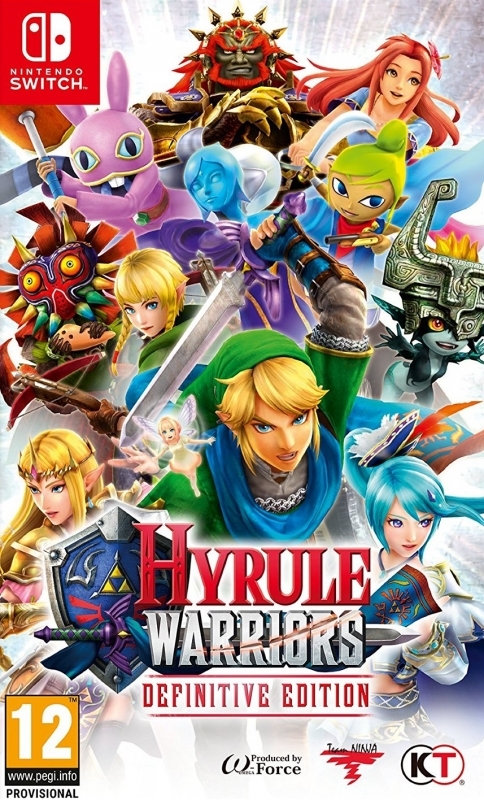 There’s less content and roster variety, but the gameplay avoids Hyrule Warriors’ annoyances, and the addition of newer mechanics such as the weapon triangle add another layer of complexity to the strategy that makes Hyrule feel a bit simplistic by comparison. Somewhat counterintuitively, then, the biggest recommendation goes to the people like myself who have been enjoying Nintendo’s Warriors games, but might have passed on Hyrule Warriors’ DLC or the 3DS version for one reason or another. And if you’re in that crowd, I can completely recommend this game; you will almost assuredly find enough content and fun hack and slash action to justify a full priced title, even if it's not the absolute best Nintendo Warriors has to offer.